Quickly transferring energy from one place to another—without loss—could fundamentally change solar panels and computers. Materials made from long chains of tiny particles, or nanoparticles, show promise for such energy transfer. However, going even smaller than nano-dimensions hasn't worked quite as planned. Researchers suspected the particles needed to be close to each other to transfer energy efficiently. Now, a team has shown that the particles can be too close. Specifically, the energy transfer drops dramatically when the particles in the chain are less than a nanometer apart. For those who want to build better solar panels or computer chips, this study answers a basic question about the physics of a promising design. That design might use a chemical structure that contains chains of nanoparticles. The study explains why the energy transfer efficiency drops. That is, it shows how quantum mechanical effects alter the transfers. Also, it shows that complex calculations, using a real-time density functional tight binding approach, shed mechanistic insight to analyzing energy transfers based on interparticle distance. Scientists wanted to understand the quantum-mechanical effects that can result in qualitatively different and sometimes completely opposite results. In particular, they wanted to understand the reason behind efficiencies and inefficiencies of energy transfer in long nanoparticle chains. Such chains hold promise in diverse fields, including energy harvesting. Conventional calculation approaches were not up to the task. Researchers used real-time density functional tight binding to characterize energy transfer as a function of interparticle distance. In contrast to classical electrodynamics methods, their quantum dynamical calculations show a drop in efficiency for spacings of subnanometer lengths within the nanoparticle chain. The drop in efficiency is due to quantum mechanical tunneling that dramatically changes the electronic couplings between nanoparticles. 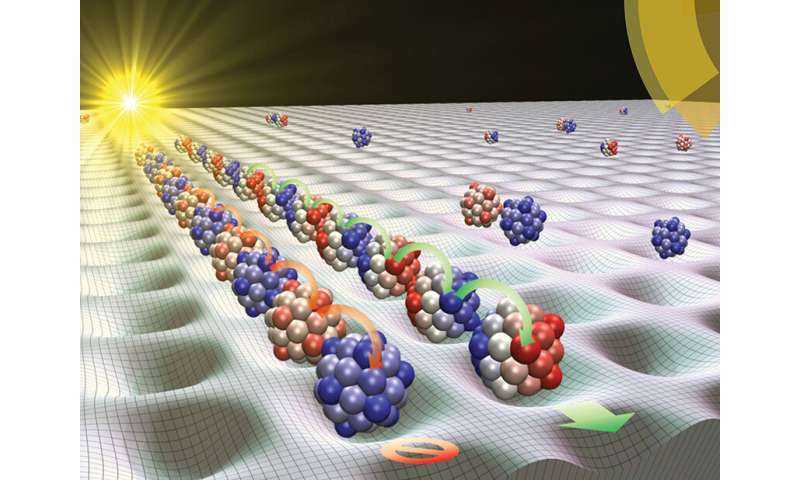 Thus, the team showed that considering nanoparticle spacing as well as larger quantum-mechanical effects is vital to accurately calculate energy transfer mechanisms.